Your Voice – Our Future (YVOF) is an unprecedented project in Georgian history in terms of the scale of coverage, feedbacks, and results. Being the largest ever cooperation project between governmental and non-governmental sectors, the project was covered by every Georgian media channel both on a local and national level. The representatives of the Election Administration of Georgia carried out special training sessions for the participants and prepared them for their future activities, and the members of the EGI created special program within non-formal education framework, showing the importance of participation in elections and weight of one single vote. The main achievement of the project was increased number of youth at the ballot and grown awareness in young people regarding elections. After the “get out and vote” campaign many of them took part in elections as volunteering observers. During the project 11 summer schools were organized in all regions of Georgia and the capital city, and more than 500 young activists were trained. Absenteeism is one of the biggest problems in democratic countries. Overall involvement of Georgian youth in elections during the past 10 years was very low. Both local and international research shows low involvement negative attitude towards politicians in young people. In August-September Europe-Georgia Institute with the patronage of President of Georgia carried out a project of an unprecedented scale – “Your voice – Our future”. The aim of the project was to increase youth involvement by promoting elections. Initially, it was clear that the project was destined to have an unprecedented scale – we needed a high level of youth involvement, training sessions for participants and to cover the whole country. For those reasons, 10 summer schools were planned with unique schedules created especially for the project. Participants were chosen after completing competitive selection process. More than 500 young people took part in our summer schools in a span of 2 months. We were aiming to explain to them the importance of voting. After finishing this stage, participants were asked to meet people from different regions and persuade them that participating in elections are of a crucial importance. After completing summer camps in 10 different regions, participants visited 20 cities and towns and met local people there. Meetings were both formal and informal, for example in the streets. Young people planned creative activities such as flashmobs, plays, theatre sketches and attracted media attention. “Your voice – Our future” is an unprecedented project in Georgian history in terms of the scale of coverage, feedbacks, and results. The project was covered by every Georgian media channel both on a local and national level. It is important that relations between Europe-Georgia Institute and Election Administration of Georgia deepened and strengthened during that time. CEC carried out special training sessions for the participants and prepared them for their future activities. The main achievement of the project was increased involvement and grown awareness in young people regarding elections. Many of them took part in elections as volunteering observers. After the project, a new idea emerged: to create a youth platform, that would work on civic activities in the future. This platform still exists today by the name “Initiative” and counts more than 100 projects in different regions. 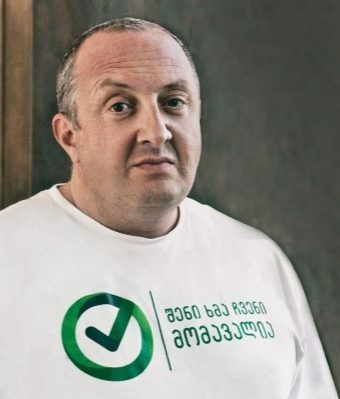 Civic platform “Initiative” is fully based on participants of a project “Your voice – Our future” in every region of Georgia.